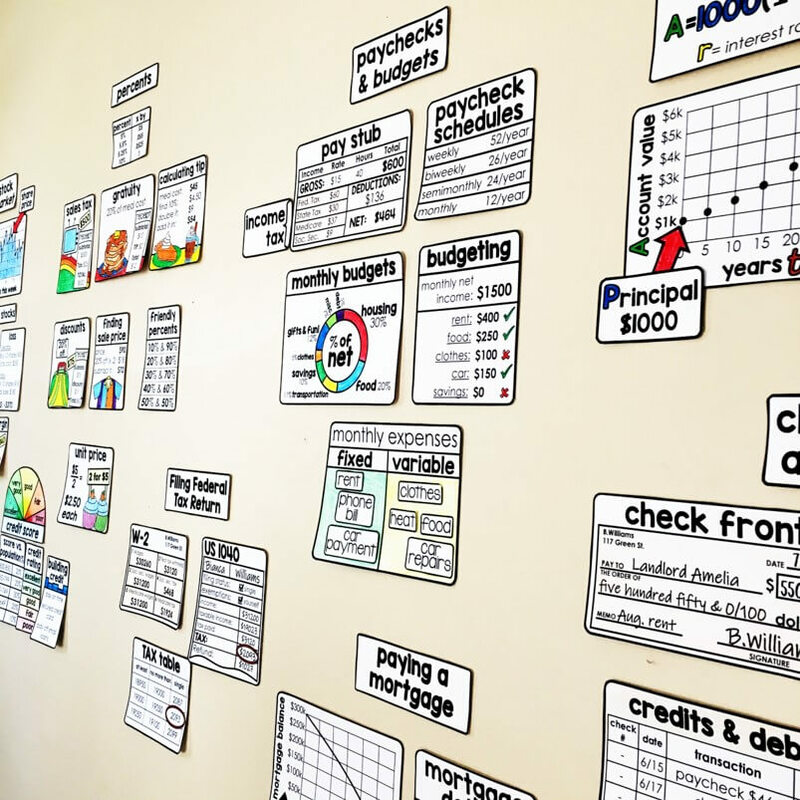 Teaching teens personal finance was even empowering to me. 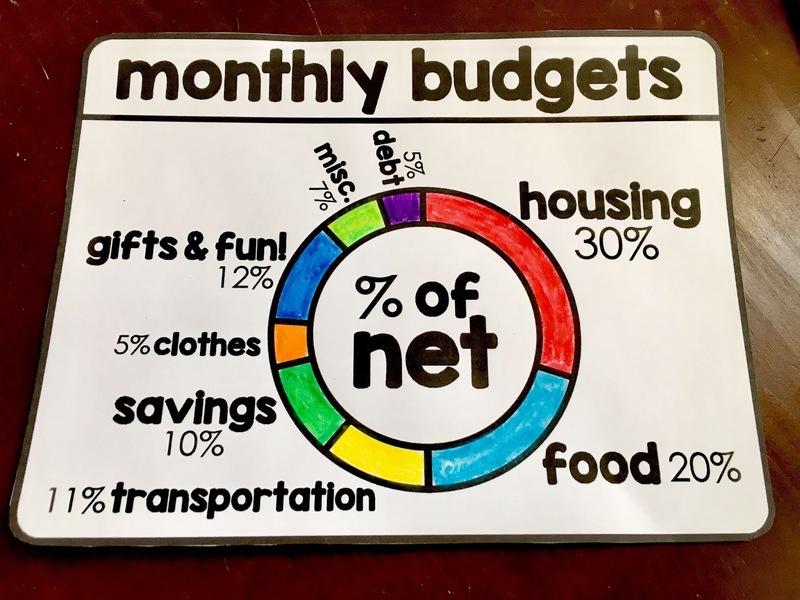 It made me feel I was giving my students the tools they needed to avoid being taken advantage of financially, which can happen to any of us. 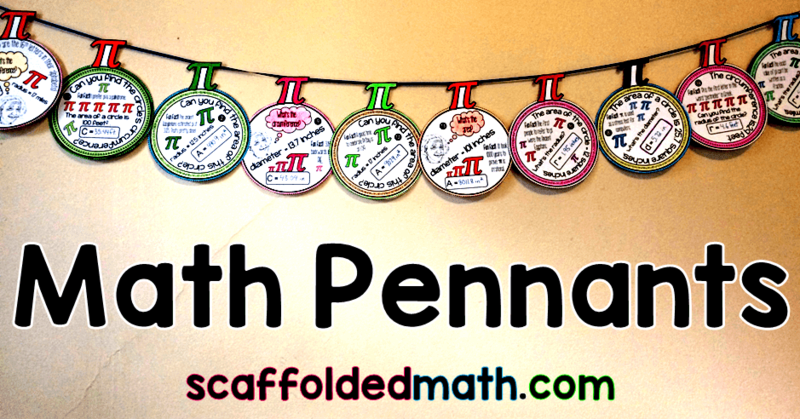 In this post I want to show the parts of a new math word wall I made to support a financial literacy curriculum and talk a but about the misconceptions and questions that can arise in a Consumer Math class. 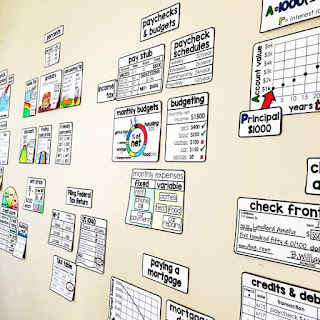 All of the pieces seen in the photos below can be found in this financial literacy word wall. So much of consumer math is working with percents. 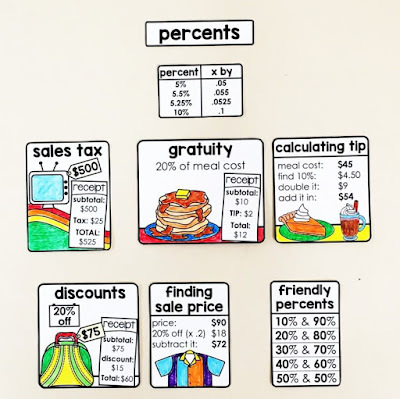 Sales tax, gratuity, and finding sale prices are so important to students. Teens want to know that shirt on sale will actually ring up 40% off and the tip to leave on their first date. 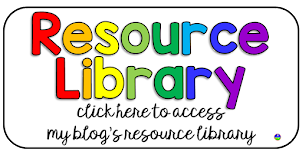 One of my proudest teacher moments came from a story my student Janiece told me about her job. A customer was getting upset at Janiece's register because she thought the final sale price was wrong for the item she bought. Janiece proudly recounted the story of how she was not only able to defuse the situation but also teach the customer the right way to find a sale price. 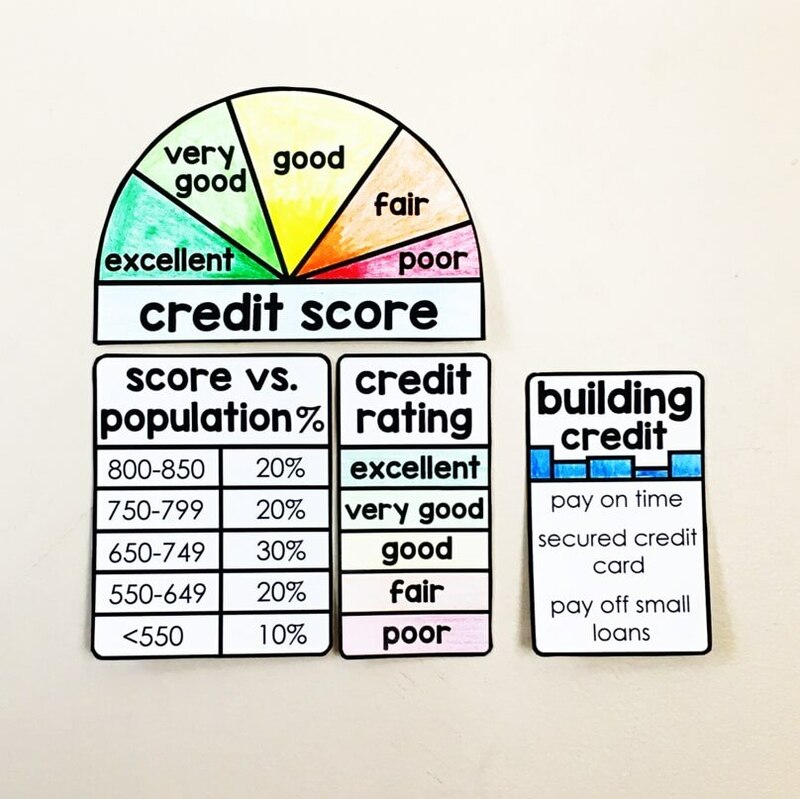 At the beginning of the school year when I gave my students a survey, I learned that many of my students wanted to know about credit scores. Maybe it's the public school focus on standardized testing or the constant credit score commercials on TV. 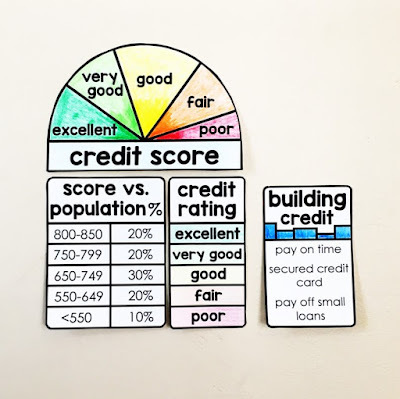 Kids are wondering about their credit score, what a credit score is and how they can have a good score. Another student of mine really wanted a job. 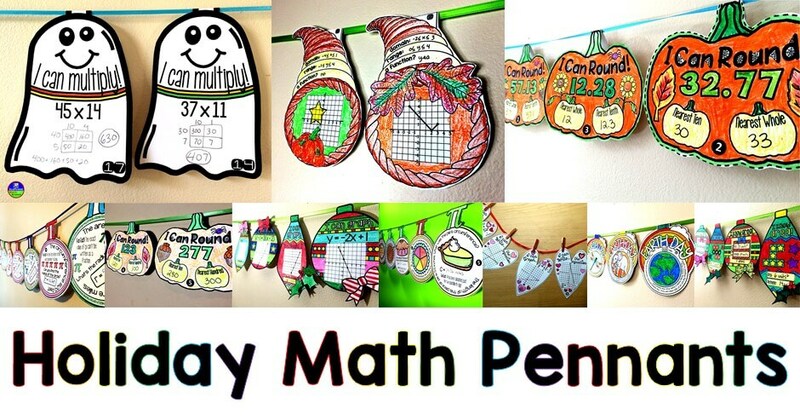 We heard about it every day in class. Finally when we - the whole class at this point - pressed him on why he didn't have a job, he replied, "I'm afraid I'll mess up the register." He was a junior and didn't have a job because he was worried about his ability to make change. Students have a lot of anxiety around personal finance and money. We chatted about how getting fired isn't the end of the world and that getting that first job would be the hardest. He could take what he learned at this first job and apply it to the next one. He could learn the register at this first job. Long story short, my student faced his fears and got a job. He then quit that job, got another, quit that one and got another. In the span of a couple months he overcame his fear of getting a job, had a few jobs and got himself some fancy new clothes. OK, so we all know this isn't happening with teenagers! But being aware of these numbers is important, even if most of their money is currently going towards new clothes and food. It's important for them to see what the goal is. "What's the difference between a debit card and a credit card?" was another question I got a lot. They look the same and we use them the same at the register. 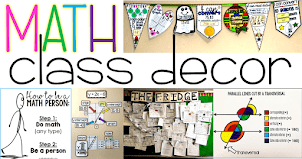 Another question that arose was the difference between "debit" and "debit card", "credit" and "credit card". 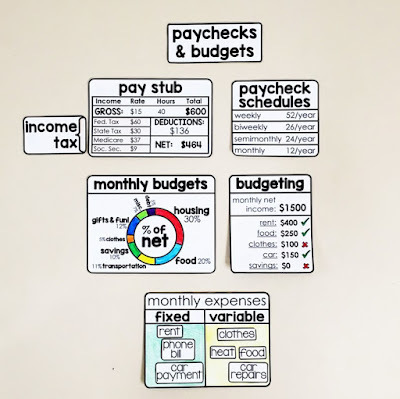 Debit and credit are used in different contexts within finances. 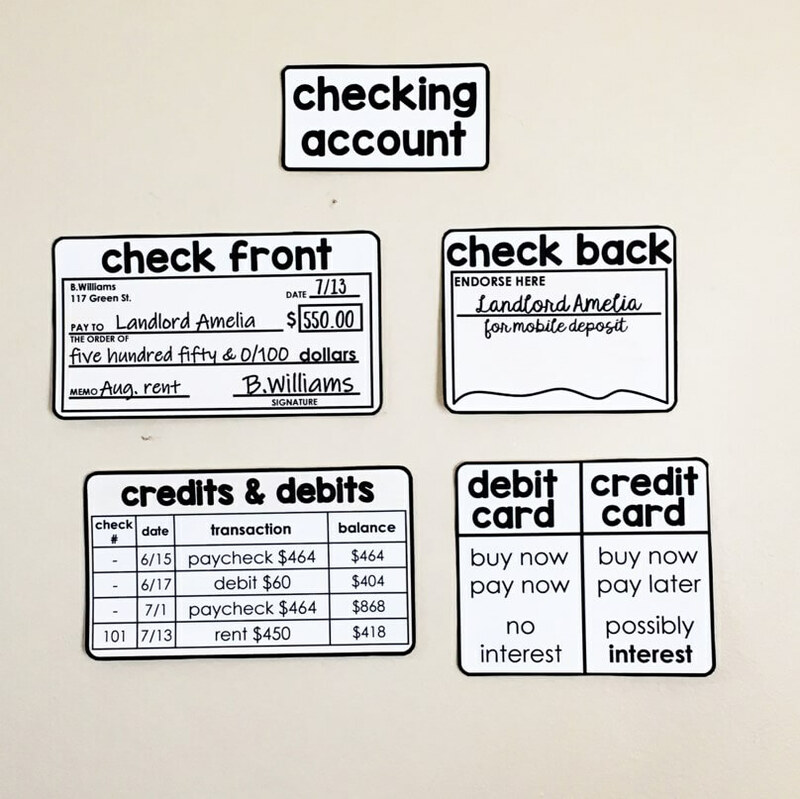 We debit and credit a checking account. 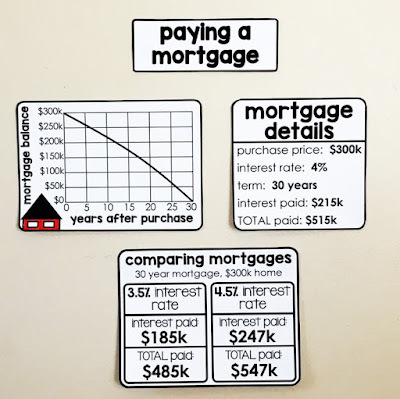 A credit is an increase of money in this case. 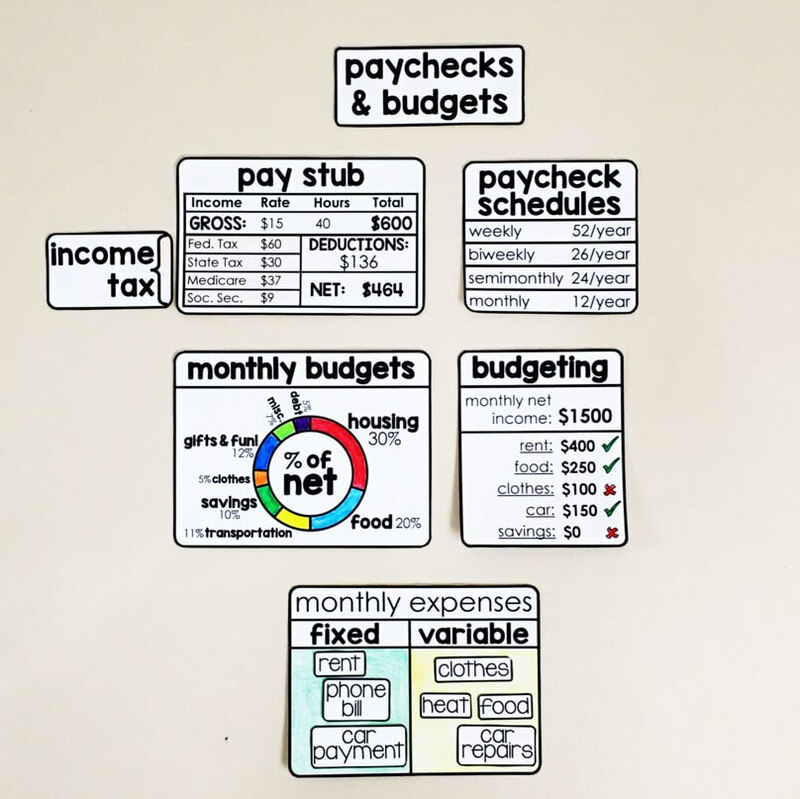 With a credit card, we are taking credit that we need to pay back. This can get confusing. 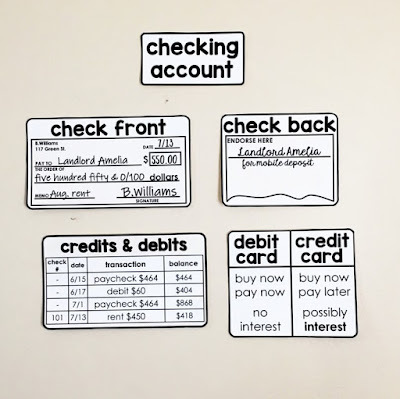 Students also may see a credit card as income or free money. They don't always know it's money that needs to be paid back. 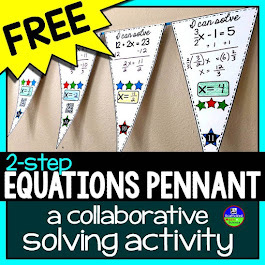 So many of the questions my students would ask would feel like common knowledge questions, except that they weren't. 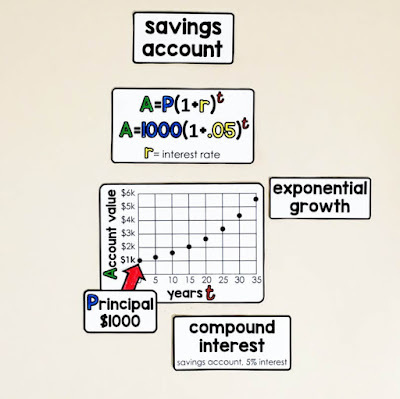 If we never teach kids about money, they may end up learning about it the hard way. It's funny how we all deal with money every day but we all also have so many questions. 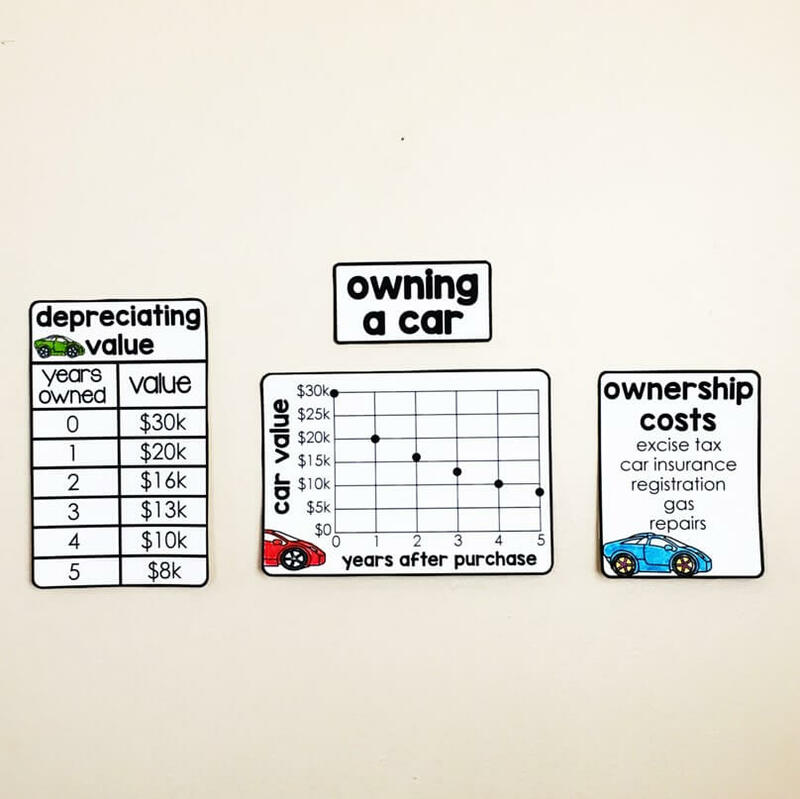 When we made vision boards in Consumer Math, a lot of my students included photos of fancy cars. So we talked a lot about this. 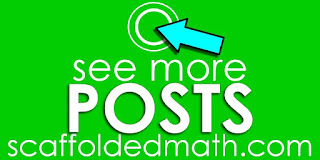 I love this video from Dave Ramsey about how much money we'd have if we only bought used. 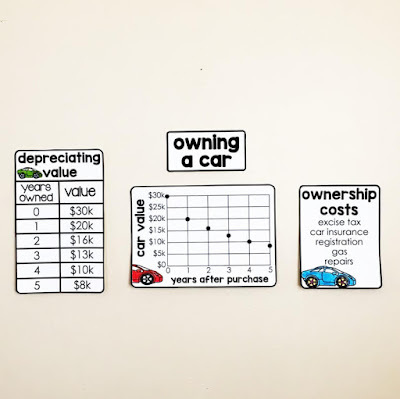 Unlike a house, owning a car is a liability. A car's value drops significantly each year, which is great for assessing excise tax but not so great if we're going into a car loan with the idea the car is an asset. Instead of a fancy car, what else could we spend that money on? 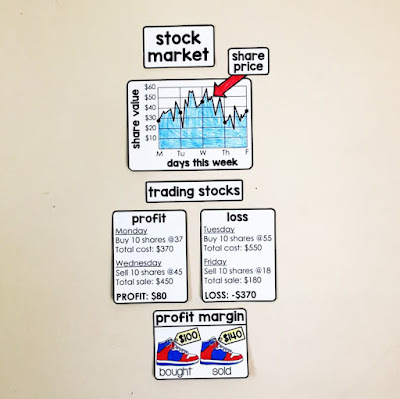 Another topic my students wanted to know more about was the stock market. "How do I buy stocks?" 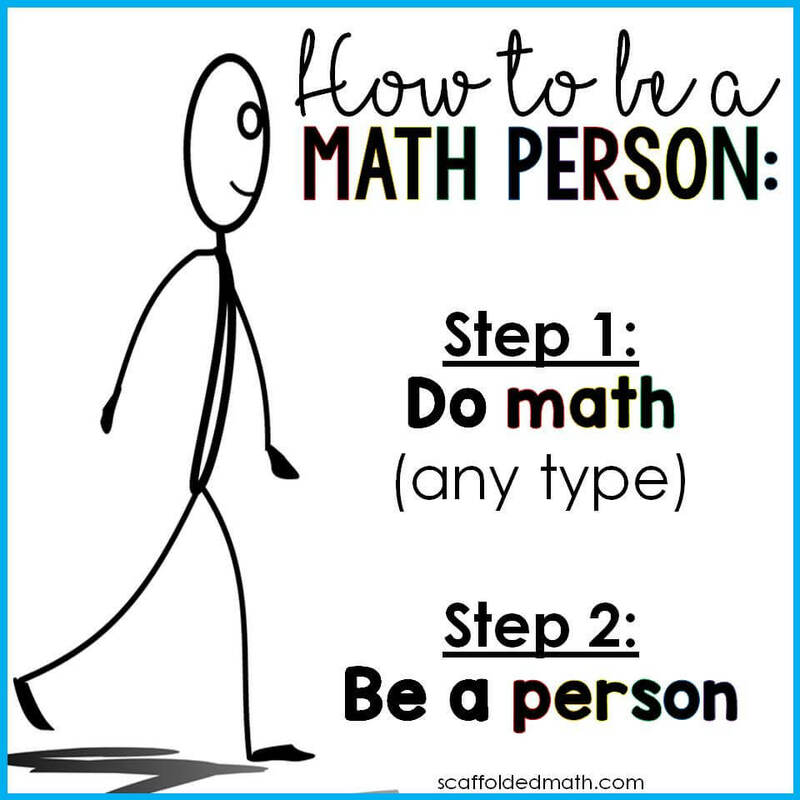 "How do I make money in the stock market?" 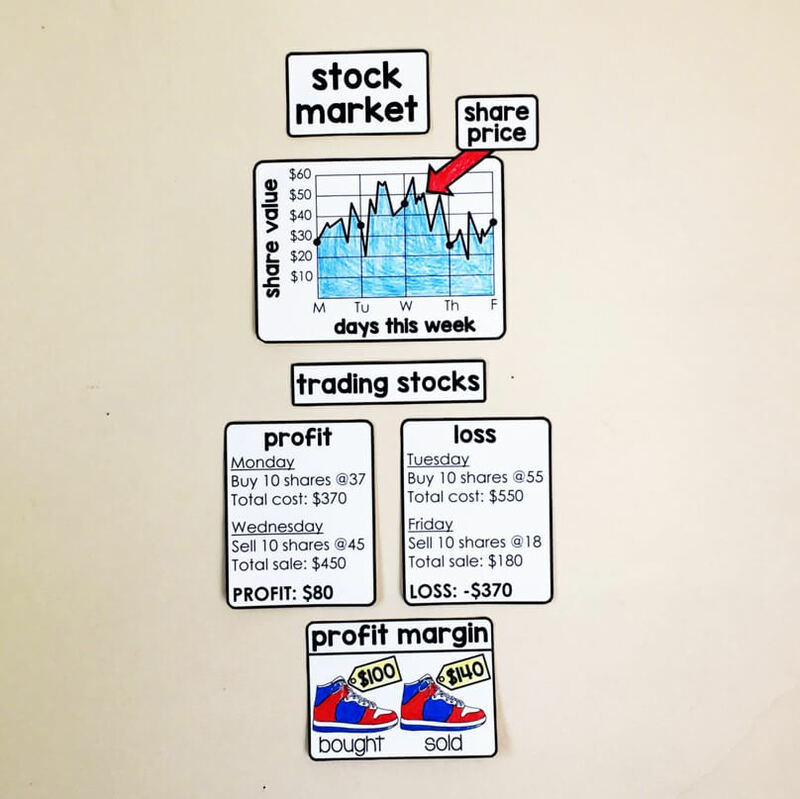 In this part of the word wall I added cards for profit and loss so that students are aware of the up and downsides of investing this way. 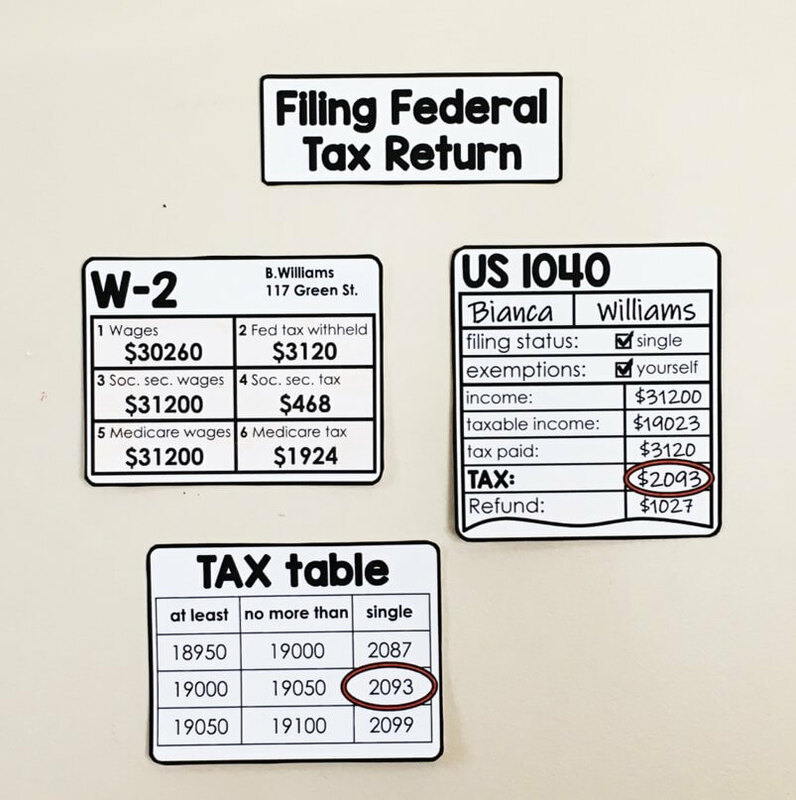 Students often do not get a tax return when they are owed one. I helped a few students get their tax returns and could go on and on about how I feel about this. 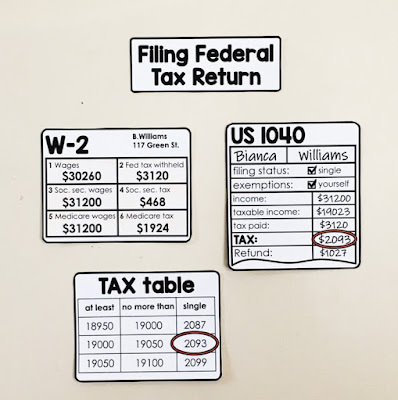 Filing a tax return is intimidating, especially the first time. But kids who work should be getting their money back. 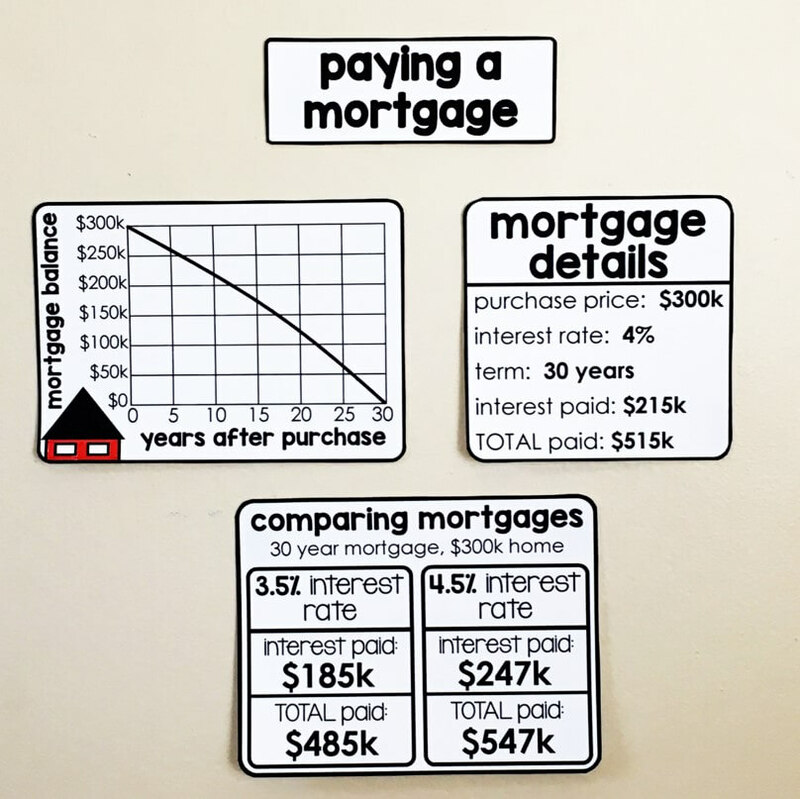 And of course, mortgages -- where a 0.5% difference in interest rate makes a HUGE difference over the course of paying a 30 year loan. 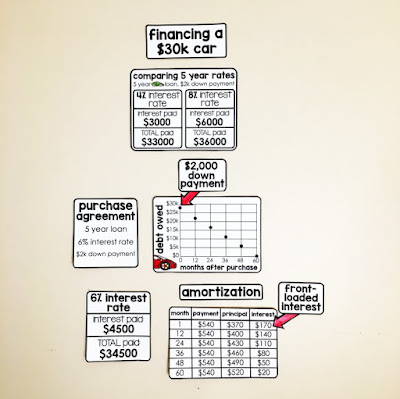 I love running numbers on an amortization calculator to estimate the difference in overall cost by paying more each month, increasing a down payment or decreasing interest percentage. 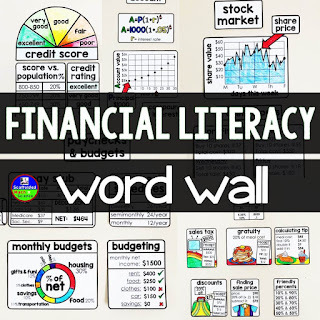 All of the word wall references in this post can be found in this Financial Literacy Word Wall. 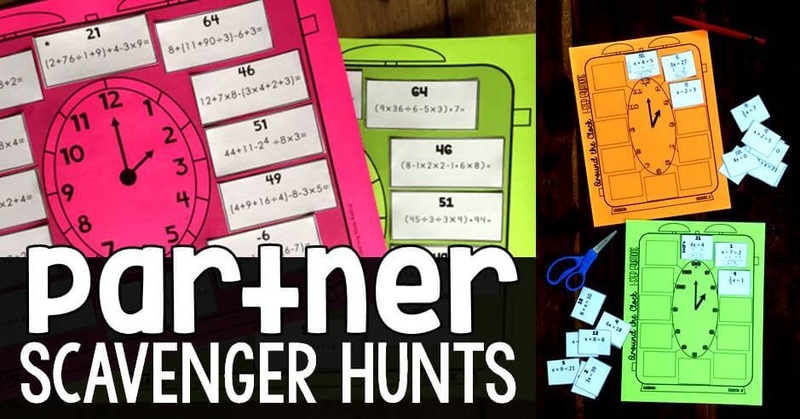 The activities in this Consumer Math activities bundle were ones we'd use in class. 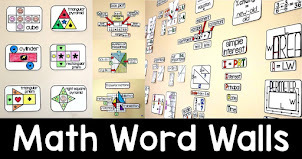 One of these days I will compile everything we used into a curriculum. Can I get a few more days in the week? Hours in the day maybe?